Preheat oven to 350°F. Grease and flour a 9×9-inch baking pan. 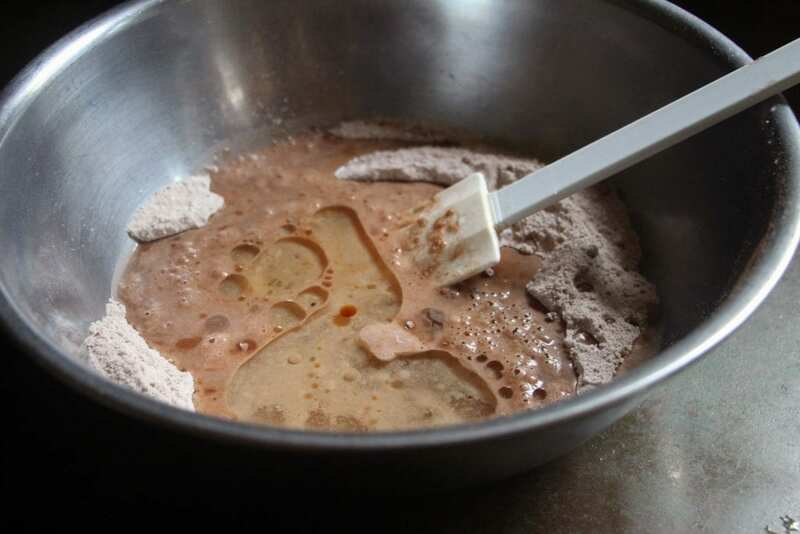 In a large bowl, combine flour, cocoa, sugar, salt and baking soda; mix well. Add the water, oil, vinegar and vanilla; mix well. Stir in raisins, coconut, chocolate chips and/or walnuts. 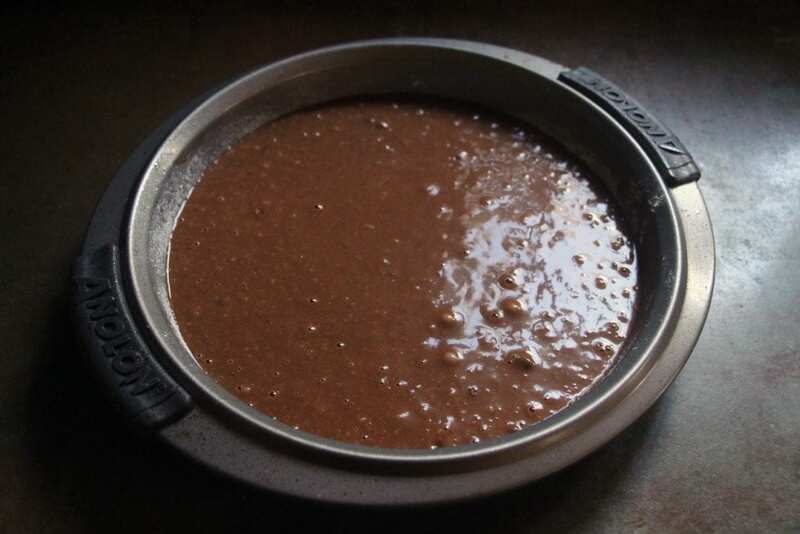 Pour batter into pan. Bake for 30 minutes, or until a toothpick inserted in center comes out clean. Cool cake briefly, then poke holes in it with a fork or a toothpick. 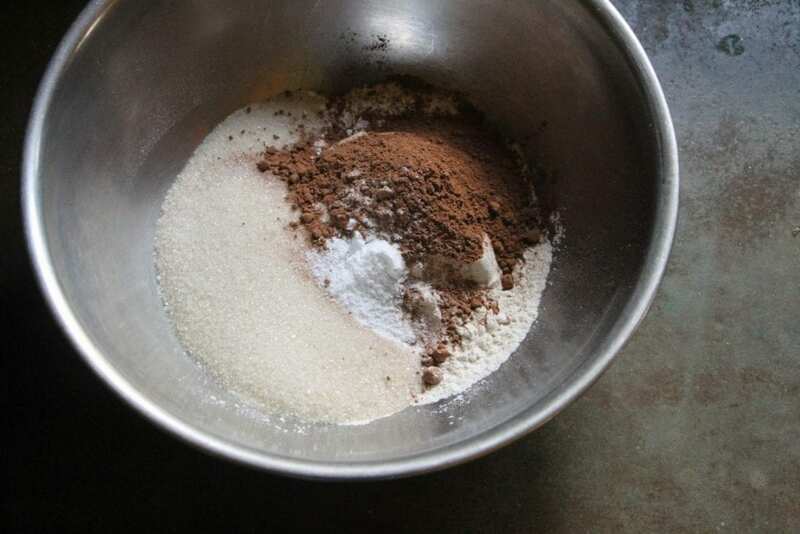 For the coffee drizzle topping, combine coffee powder, powdered sugar and enough boiling water to form a drizzling consistency. 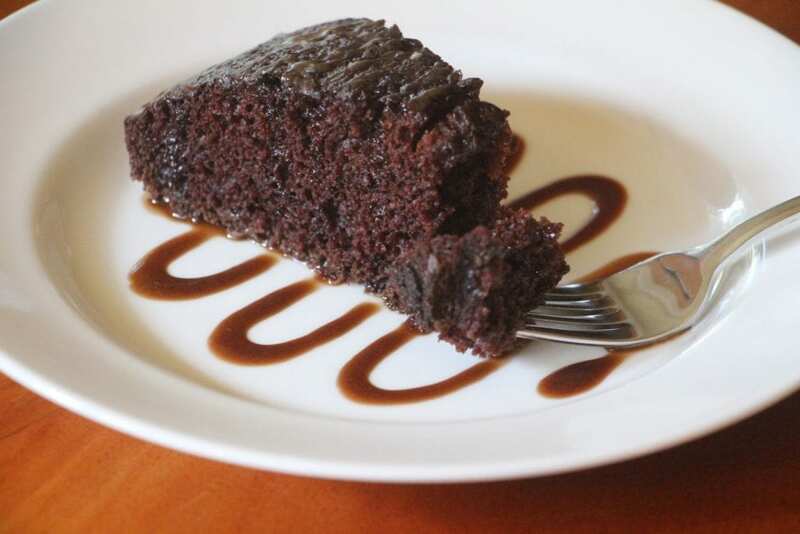 Pour topping over cake. Serve warm or at room temperature with ice cream. Also great with coffee and a best friend.